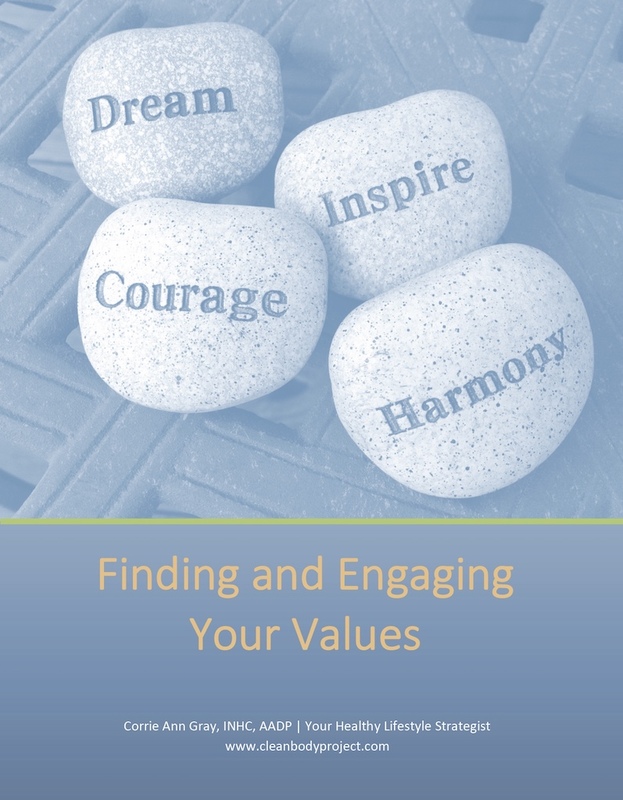 » Do You Know Your Core Values? Do you know what your personal core values are? Unless you have done the work, you probably can’t rattle them off the top of your head. Values guide our behavior and are the foundation of our personal code of conduct. I don’t remember the first time that I did a values assessment, but it was an eye-opening experience. I remember at the time I was in a job that didn’t fulfill me, and when I discovered my values, it was obvious that they did not mesh with those of my boss or employer. Knowing my values helped me figure out what type of job I wanted to have, and go after it. Let’s look at how your values can have a direct impact on your healthy lifestyle habits. Let’s say you love relaxation and you experience this by sitting on the couch watching television. You know this is a bad habit but it allows you to experience relaxation consistently, so it becomes a daily habit. Need Help Finding Your Values? Sign up for our weekly updates and receive a powerful tool designed to walk you through, step-by-step, how to identify your values. Imagine you wake up one day and decide that you really want to incorporate regular exercise into your lifestyle (it could happen!). You commit to 30 minutes of walking every afternoon before you make dinner. Guess what happens when it comes time to put on those walking shoes? That’s right – you find yourself planted on the couch with the television tuned to your favorite show. Ah, relaxation. This is common – we do things either out of habit or just because it is the easy way, without paying attention to what we truly value in life. One positive outcome (out of many) about knowing your values is it will make your decision-making process easier and more efficient. When you make decisions by looking through this lens, you consciously decide that you will take action that supports your values. I know what you’re asking right now – how do I find my values? There are many methods for doing this exercise. A little bit of Googling will help you find some exercises; however, I put together a nifty workbook that you can download to do an assessment and finally identify the values that drive your life. Once you know what your values are, keep them top of mind as you navigate life. Trust me, choices and decisions will become easy peasy, lemon squeezy, and you will be your authentic self.